A scenic picture taken of the Freedom Fair's annual 4th of July fireworks show. 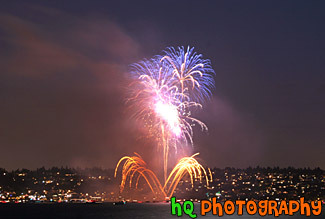 This show takes place over the water of Commencement Bay in Tacoma, Washington. This photo was taken from across the bay at Brown's Point.